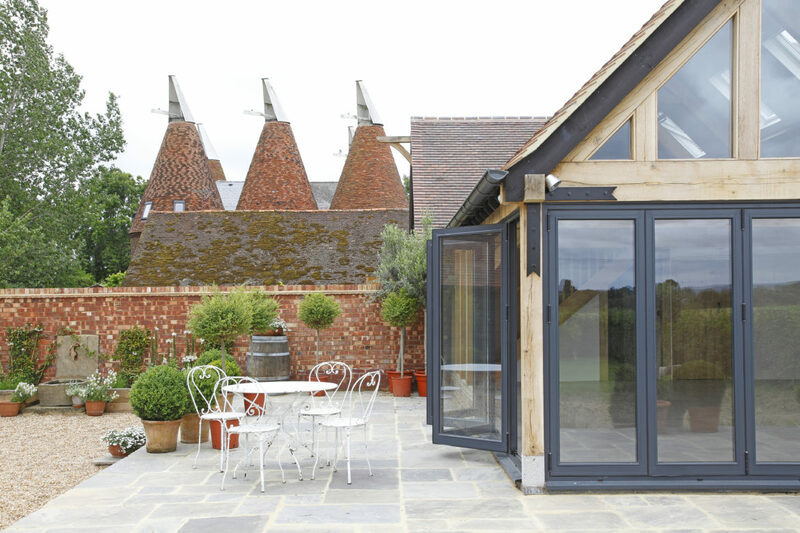 Our client, based in Kent, lives in a character property in a picturesque Oast House area. They approached us to design an open-plan extension to be used as a music room with additional accommodation to the rear. 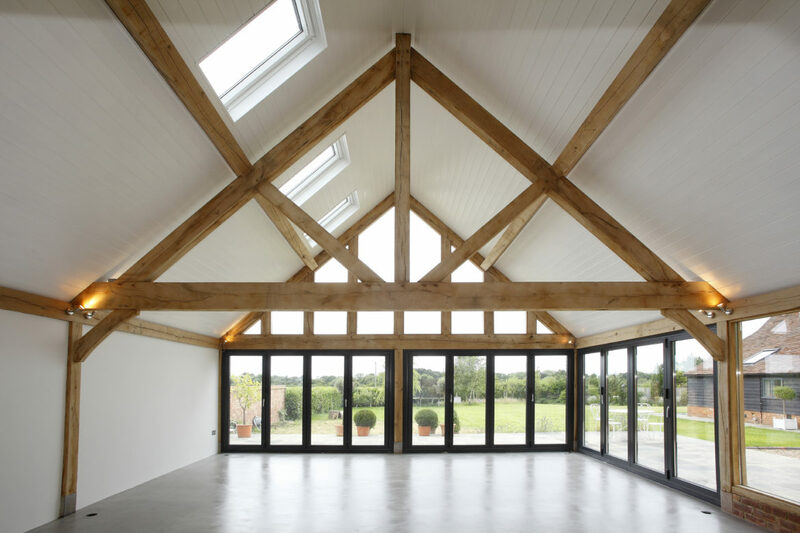 The brief was to build a structure that was sympathetic to the property and surrounding area whilst using a mix of traditional Oak and modern materials such as architectural aluminium bi-fold doors and polished concrete floors. We designed the gable end of the extension to take full advantage of garden and further views. 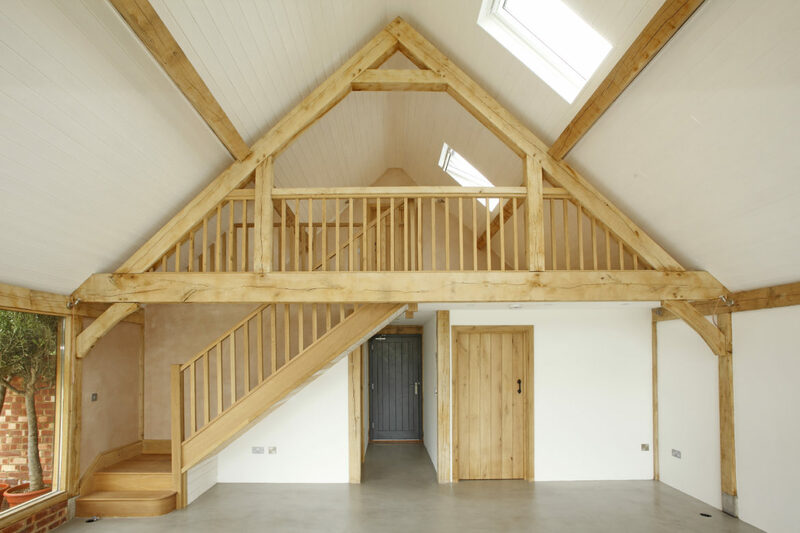 An impressive oak staircase and galleried landing was installed to allow access to living accommodation. 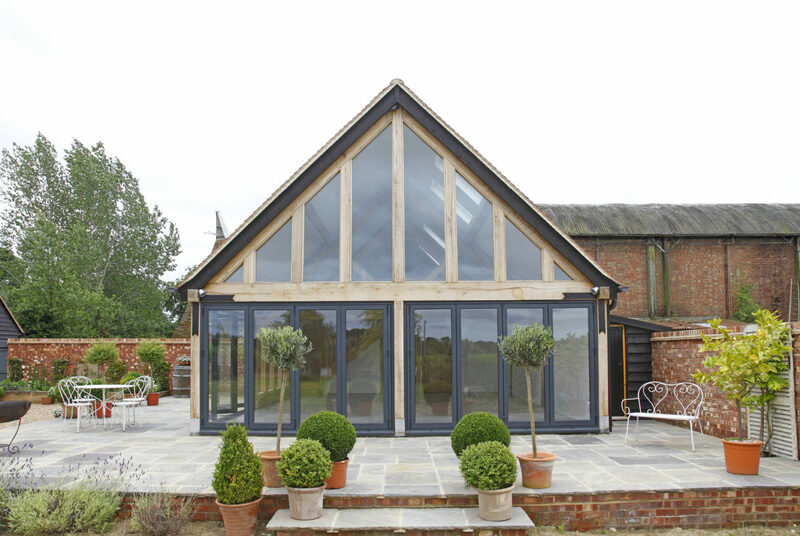 Architectural grey bi-fold doors were used as a contrast to the Oak frame, and allow the extension to flow into the garden. White painted weatherboarding was installed to the ceiling instead of traditional plasterboard, creating a subtle feature and further character. The Oak frame was predominantly cut on-site and assembled using the traditional method of securing with oak dowel-pins. Further to completing the extension, the client then commissioned us to landscape the area. Staircase detail....a work of art in it's own right!